Where and when is the next total solar eclipse? - When Is The Next Eclipse? 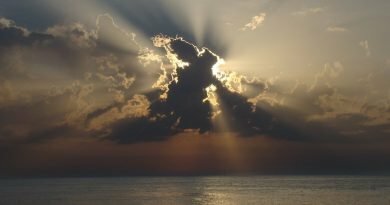 There is only one question after a Total Solar Eclipse occurs; when is the next eclipse? The answer is July 2, 2019 across the South Pacific, Chile and Argentina – the Great South American Eclipse. 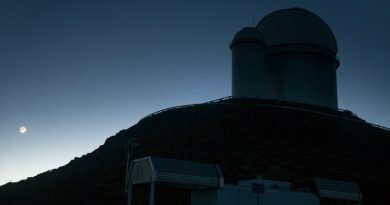 It’s possible to view this eclipse from near the remote Pitcairn Islands, from close to a bunch of international telescopes in Chile’s Elqui Valley in the southern Atacama desert, and from Argentina’s remote Cuyo highlands and agricultural Pampas regions. And this is just the first part; there’s another Great South American Eclipse on December 14, 2020. Where do you have to be to see the 2019 Total Solar Eclipse? Anywhere within the Path of Totality. On July 02, 2019, the Moon will cast a 70-mile wide track across the South Pacific, Chile and Argentina. To experience any Totality, you must be within that Path of Totality. However, to maximise your time with Totality you must be as close to its centerline as possible. Head north or south from that line and the duration of Totality shortens dramatically. 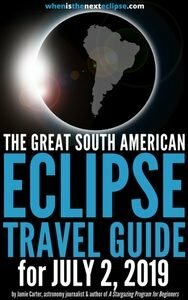 With a maximum duration of four minutes 33 seconds, the Great South American Total Solar Eclipse of July 2, 2019 sure sounds enticing. However, pull out a map of the eclipse track and a rather typical characteristic of southern hemisphere eclipses begins to emerge; most of the 200km-wide shadow is at sea. This is not unusual for a Total Solar Eclipse. Indeed, the point of greatest duration (4 minutes and 32 seconds) is in the South Pacific Ocean around 3,000km from the coast of Chile. The nearest land mass is … well, there isn’t really a land mass nearby at all, which is why nobody on the planet is likely to experience this eclipse to the maximum.